The Electronic Cigarette (also known as a smokeless cigarette, e-cigarette or e-cig) is a battery powered device that offer an alternative to smoked tobacco products. 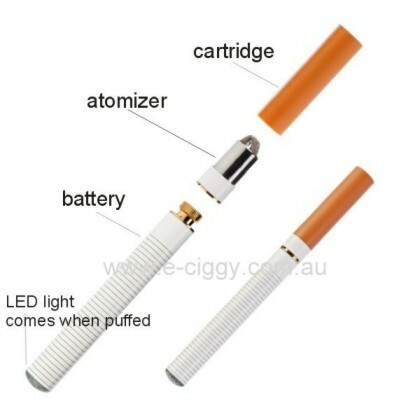 The patented E-cigarette effectively simulates the experience of smoking an actual cigarette, but without the health issues surrounding traditional cigarettes. Not all electronic cigarettes require e-Liquid. Our online store specifies which e-cigarettes require the e-liquid, and which require cartridges. We sell both. No more smoke smelling hair and clothes. When you use an electronic cigarette you breathe out water vapour which contains no odour﻿. 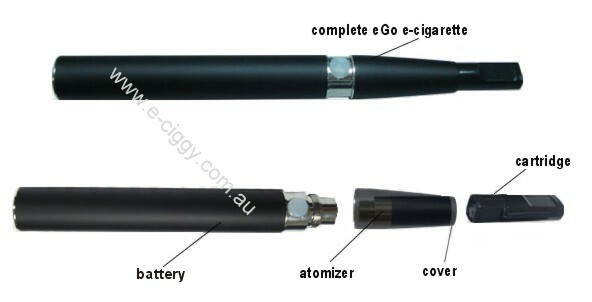 Electronic cigarettes do not contain tar or carcinogens emitted during the normal combustion of nicotine. Some customers who are attempting to quit smoking prefer our e-cigarettes as it enables them to hold a “cigarette like” device in their hands as they adjust to their new routines. Remember that nicotine is addictive, however, you can smoke non-nicotine liquids which are not addictive. How much does smoking e-cigarettes cost? Does the smoke flying out of the e-cigarette have an unpleasant smell? We accept any valid Visa, MasterCard, Bankcard as credit card payment options. Alternatively, PayPal and direct deposit into our bank account, are also accepted. What if you don't have a product in stock? All electronic cigarettes, e-liquids, cartridges and accessories we sell are in stock. The shipping is from Sydney (usually on the same day). I would like to place an order over the phone. Where can I find your phone number? I placed my order, but have not received any confirmation, whats going on? Order confirmations are instant and so should be received within minutes of completing an order. However, there could be one of two reasons why you've not received this email/s. 1. If an incorrect email address has been submitted, then naturally the receiver will not get any emails. 2. With the increase in spam, many people now utilise a filter to avoid junk mail. Often if the mail address from where emails have been sent have not been allowed, or automatically blocked, or not on the receivers white list, then such emails may never be seen by the receipient. To ensure emails from E-ciggy which include order confirmations, are duly seen and read, please ensure your spam filter is configured to allow addresses ending with e-ciggy.com Please consult the help manual of the particular spam filter software that has been utilised to ensure this process is undertaken.